Perfect first radio control for toddlers! 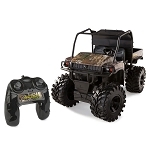 Featuring simple, two-button controller, little ones will love to drive Johnny around while making him twist and turn. Durable enough to take bumps and bounces, yest soft enough that he won't mark up walls or furniture. My mom got this for my son's 2nd birthday. He loves this toy! The remote control is simple enough for a two-year-old to use. Even my 4-year-old likes to play with it. 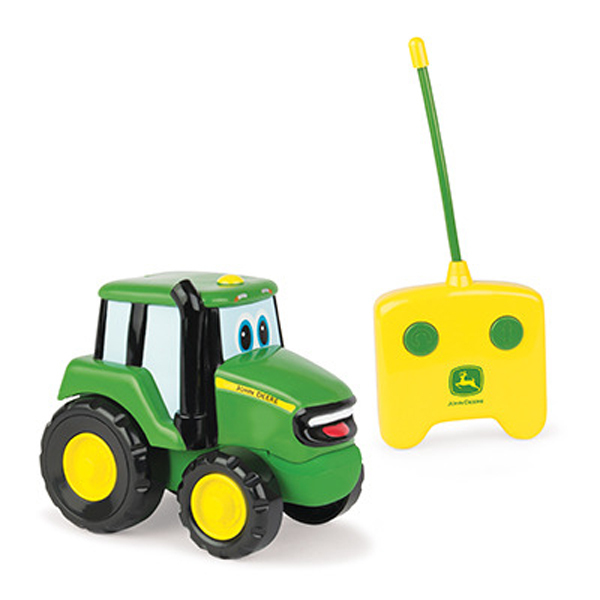 I would recommend this item for any child who likes tractors/trucks/cars. I received the first one that did not work at all. Greenfunstore had great customer service and sent me a second. The second one would go forward but the spin option did not work. Would of been a great toy if it operated properly. Kids loved making it go forward anyway! I received this ahead of time My grandson opened it x-mas,we installed the batteries and it has been non- stop ever since. Love this! He is 2 and i was concerned but he caught on quickly. This is the second one of these I have purchased- the first which was one of the originals is still going strong, These toys are indestructable and believe me I have just the grandkids who are capable of destroying things!!! This toy has always been such a magnet for all my Gkids- they play with it for hours at a time! This toy is great I bought it for my 18 month old nephew & he loves it.